I have added links to the memories and stories including poems about Gosport. These may not be about Gosport but by people with links to Gosport. These could be included in the History Section. I have received comments that memories may not be history. And one Sunday lunch time in Gosport, for want of absolutely anywhere else to eat, I watched with ghoulish fascination as several naval problem families staged a party for their children. The adults were verbally threatening, massively hung over, the children were snot-encrusted, foul-mouthed. 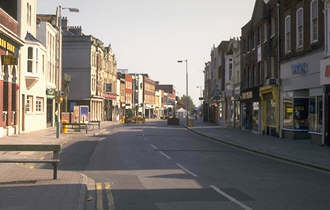 Woolwich in one of Greater London’s anomalies. Like Gosport, it is, or was, a garrison town. Such towns tend to hermeticism and violence.